To the best of my ability I will try to post links, news, and faschist jack moves done by the Tukwil school administration to the peace movement, the students at Foster High and the teachers who are being drug through the administrations fancy to keep this war going as status que. I am doing this as an Independent journalist and I am not affialated to anyone or any group... I am simply put, just an average joe anybody showing my "solidarity"
"Please send me info on this action"
phone Foster HS Assistant Principal Daryl Wright 1 (206) 901-7902 and Foster HS Office Manager Darlene Aguiluz 1 (206) 901-7915. Please support the Tukwil Solidarity - Get Active! Tukwila Six Volume #.5 "Organize"
I am writing to you to protest the suspension and expulsion of Foster High School students and the investigation of six Foster High School teachers. The students were very specific in their intention for a peaceful walkout on November 16th to protest the war in Iraq as they stated in their letter to you. It is evident that they did not disrupt the orderliness of the school day or affairs. They were merely exercising their rights as U.S. citizens in a manner that demonstrated maturity, intellectual integrity, and honorable citizenship. If their teachers were an influence in their actions, the teachers should receive commendation, not admonition. The students demonstrated application of the education they receive in the classroom regarding U.S. history and political structure. The investigation of the teachers is unlawful. They have done nothing wrong. Freedom of speech and right to a peaceful assembly are guaranteed under the U.S. Constitution. Overturn antiwar student’s unfair suspension! Let her stay at Foster High School! Hold the Tukwila School Board accountable at Tuesday’s meeting! Keep the Teachers Hired Next Semester and Next Year! This Tuesday, December 11, 6:30 p.m.
Come early at 6 PM for a brief planning meeting if you can. Last Friday, December 7 one of the students at Foster High School in Tukwila, WA involved in Foster Student Action was given 9 days suspension supposedly for “having an Ipod out in class.” However, the REAL reason she was suspended was because she and other Foster Student Action activists dared to collect petition signatures at lunch period the day before requesting that teachers who allowed the Nov. 16th antiwar student walkout to happen get to keep their jobs. com_content&task=view&id=328&Itemid=592 ) And this is the first time this student Bailey Davidson has ever been punished for having electronics at school. So school administrators have blatantly violated their own school rules. Many students were using Ipods and cell phone text messaging in the class at the same time as Bailey because the class had a substitute teacher with no lesson plan and students were told simply to do their homework, but many had finished their homework. Yet none of the other students got in trouble. Only this antiwar activist was singled out. Not only does Vice Principal Wright’s 9-day suspension keep Bailey out of Foster until winter break, but school administrators are also trying to drive her out of the school altogether. They claim that since she moved residences, she now lives “out of district.” However, she recently moved CLOSER to school, not FARTHER from school. She now only walks only 1 mile to school every day. How could this be “out of district”? There are around 150 other students who live outside the school district, so why is the administration singling out this one student? If the administrators get away with this abuse of power, there is nothing to stop them from targeting other students and teachers. This is not just an attack on one student or some teachers, but all of students and workers — and our Constitutional right to petition local government officials. Bailey has done better educationally and socially at Foster than at any other school, and she really wants to stay at Foster because Mr. Rogers and a few teachers here have really helped her focus on her studies. I have been following the Tukwila Administrator's response to the student anti-war walk-out/demonstration. First off, I want to say that I think the Administration is handling this situation correctly. I also hope that teachers at Tukwila are using this incident as an opportunity to further educate Tukwila students about the first amendment rights that many students claim the Administration is violating. The first amendment does not guarantee that you can exercise your right to free speech anytime you wish (such as leaving school during school hours or disrupting a classroom full of students ). It is ok for my employer to not accept me skipping out of work to go protest. I may request vacation time off to go do so, if I choose to, and my employer may or may not grant the vacation time. It would be bad for my employer to not grant the vacation time because I am going to a protest when they would have granted it for any other reason. This message has two purposes. First I would like to voice my own support for the students who courageously spoke out against the predatory practices of military recruiters in their school. Furthermore I am shocked at the response that has come from the school district, shame on you. The second purpose is to inform you of how I and many others are becoming informed about the situation in your district. The students and their supporters have been effectively using available independent media outlets to muster support throughout our region. If you continue to persecute the brave students and their teachers they will only receive more attention and support, a big headache for you. I have to say to myself "no wonder our kids are failing" when I read and hear about how you so-called "educators" are persecuting the teachers involved [either directly or peripherally] in the Nov. 16th Walkout Against The War. It is also sad that too few parents are willing to step up and do something pro-active about this war, especially when their children will be the ones who will suffer the most if they/ we fail to do what must be done. On this McCarthy-lite "investigation" and unpaid suspensions of teachers your district is doing: you folks are wrong on many levels. Obviously, "learned" does not mean "smart"! Nov. 16th was a golden opportunity for a civics lesson that you just can't get from a text book or a lecture! To miss such an opportunity, more importantly to deny such an opportunity, is dereliction of your duty to educate. These kids you see in your high school today will be the ones being sent to Iraq to die (or come back insane or disfigured) tomorrow! They deserve to know the TRUTH about what's going on over in that part of the world and in their own community. Do they know that 25% of the homeless population are veterans? Did you know that? It is not enough to teach them how to be obedient, blindly patriotic wage-slaves who can type 80 - 100 words-per-minute (but still can't read at their grade level)! It takes more than that to compete for jobs with foreign students who started learning calculus in junior-high and can speak at least three languages fluently by the time they graduate high school. Foreign students are also generally more worldly and politically aware. And they better be: they will have find ways to cope and adapt to the globalization-driven outsourcing and the layoffs that follow. How will your students cope; especially when you so-called experts are advocating (and delivering) a reality-deficient education! These kids were disciplined, organized, sober, and focused. And chaperoned (I too was one of the many responsible adults present at the march they invited; trust me, they didn't need me to "chaperon" them). How often does that happen? You should be grateful for that! The sooner this war ends (and the sooner that Bush and his cronies are out of power), the sooner that teachers nationwide will have the tools, funding, and class sizes they need to truly teach. Your students are doing their part. What about you? All I see from here is you sitting on the sidelines, trying to dictate the guidelines. Also Wednesday, when students tried to meet at the Foster commons after school to discuss the crisis, the principal brought in eight police to break up and disperse the meeting. Student posters were torn down by the principal, and students were told that they are not allowed to hang up posters. Teachers have been told that they may not discuss the crisis with colleagues or students. One girl talking about teacher Brett Roger’s situation was loudly threatened by Principal Ilgenfritz with suspension. All these incidents are blatant violations of students' and teachers' constitutional rights to free speach, freedom of the press, and freedom of assembly! On December 11th, for the second time in two weeks, approximately 100 students and community members attended the meeting of the school board in Tukwila, Washington to support the democratic free speech rights of the staff and students from Foster High School. The controversy began on November 16th when 125 students walked out of classes and poured into the streets as part of a national student walkout to protest the Iraq war called by Youth Against War and Racism. Students specifically focused on the spending priorities of the government, calling for money for education, not war. Students also demonstrated against dishonest, predatory recruiting practices among military recruiters on their campuses. One teacher walked out with students and was subsequently placed on administrative leave. He and several other teachers, one of whom allowed students to make up their own informed decision about whether to walk out or not, were threatened with disciplinary investigations. A campaign of harassment and intimidation was also commenced against students. Students and community activists immediately organized to defend the teachers’ jobs, but the Principal took down students’ posters and even brought in 8 tall police men to break up and disperse a peaceful student gathering. At a previous school board meeting, in front of both local and national (TV, print, and radio) media, the school board tried to ignore the presence of approximately one-hundred sign-toting students and antiwar activists. The meeting this week began with a similar tone. However, this time the district placed a school employee -- who was clearly hostile to the demonstrators and stated at the previous meeting that the "teachers should be fired" -- at the door to enforce the fire code and limit the number of people in the hearing room. Police locked peaceful community members out of the meeting and the building. So community members started chanting chants like “let the teachers teach!” Then police threatened to arrest them for chanting—once again violating people’s Constitutional right to free speech. The school board meeting agenda called for a Work Study Session entitled "political expression and the public schools: rights responsibilities of students, staff, and schools boards." This was perceived as a public hearing period, but the district instead tried to limit the discussion to their district lawyers and several previously selected and approved students. After students and community members persistently complained that only a select group were being allowed to speak, Foster Student Action, a recently formed group of student activists from Foster, eventually were given an opportunity to speak, and they articulately and passionately laid out a case of harassment, intimidation, and inequitable application of school policies and rules. Foster High School is overwhelmingly comprised of working-class students: 71% of students qualify for the federal Free/ Reduced Lunch program, and approximately 30% speak English as a second language. Most seniors are not passing the WASL state exam and therefore may not be allowed to graduate. The school board and Foster administration had grown accustomed to students and teachers following their orders, even though the district is underserving the students and failing to equip them for their futures. This was the first time the students as an organized group stood up for something they believed in, and the administration simply did not expect the students to defend some of their best teachers' jobs in such an organized, determined way. In the aftermath of the student presentations, the school board attempted to punt on many of the students' concerns, stating that these items were "beyond their jurisdiction" and up to the building administrator (who was in the room, yet largely silent). Community members then largely spoke in support of the Foster students and against the policies of the administration. It helped the students and teachers enormously to have the assistance of parents, local community members, Neighbors for Peace, the head of the local NAACP, the Tukwila Teachers and Students Solidarity Committee, Socialist Alternative, and Youth Against War and Racism. All parties present agreed the school board had largely failed the students of Foster High School. The students' testimony showed the school district leaders are not providing these students the education they deserve, and they are running an overly repressive school environment and should change their ways. Students and community members exposed the administrators’ hollow arguments and tactics and put an immense amount of pressure on administrators not to discipline students and teachers. After 2 hours of intense debate, though, the school board still refused to agree to the students’ demands to: (1) drop the investigations against teachers, (2) overturn the suspension of the student activist, and (3) ban military recruiters from Foster High School. It is quite possible, however, that administrators will be afraid not to rehire the teachers after their probationary period is completed next semester or next year, which has been the students’ main demand. After school administrators faced large angry crowds at school board meetings, bad media publicity, and the flooding of their phone lines and email inboxes (to the point where the Superintendent had to remove her email address from the school district’s website), they will certainly think twice about whether they want to face a new round of protests before they consider not re-hiring the teachers next semester or next year. So the students could still achieve their main demand, which would be a significant victory. The other major achievement out of this whole struggle was the heightened political consciousness and activism of teachers, students, workers, and unions. News of the struggle was broadcasted through corporate and independent media outlets locally and across the country. The Seattle teachers union (the Seattle Education Association) and the United Teachers of Los Angeles (the 2nd largest teachers union in the country) adopted resolutions supporting students and pledging to defend the teachers if they are not rehired. Activists in the largest teachers union in the country in New York City and other antiwar and labor groups are also working to line up more support. Most importantly, everyone involved witnessed the stiff opposition from those in power at the national and local levels of government who are allowing this unpopular war for oil and power and military recruitment in schools to continue. People can see more clearly now the kind of ardent determination and mass movement of students, workers, and soldiers that needs to be organized to end these policies that benefit the US corporate elite at the expense of most ordinary Iraqis and Americans. Students are filing an official appeal to have the one student’s suspension overturned or at least erased from her record. Students are also preparing to set up information tables and collect petition signatures right next to military recruiters whenever they show up to organize students and staff behind their goal of making schools off-limits to military recruiters. This will help attract more students to get involved in Foster Student Action and maintain a consistent presence in the school in case administrators try not to rehire the teachers next semester or next year. These school leaders need to be held accountable, and the coalition of activists in support of Foster Student Action pledges its continued support for their democratic actions. then please go to our websites and/or contact us! Please forward this email widely. Please also call and email school administrators and be ready to defend the teachers if they are not re-hired next semester or next year. - Visit www.SocialistAlternative.org to read the newest issue of "Justice" newspaper on-line, or visit www.socialistworld.net for great anti-war, socialist news, analysis, and campaigns. 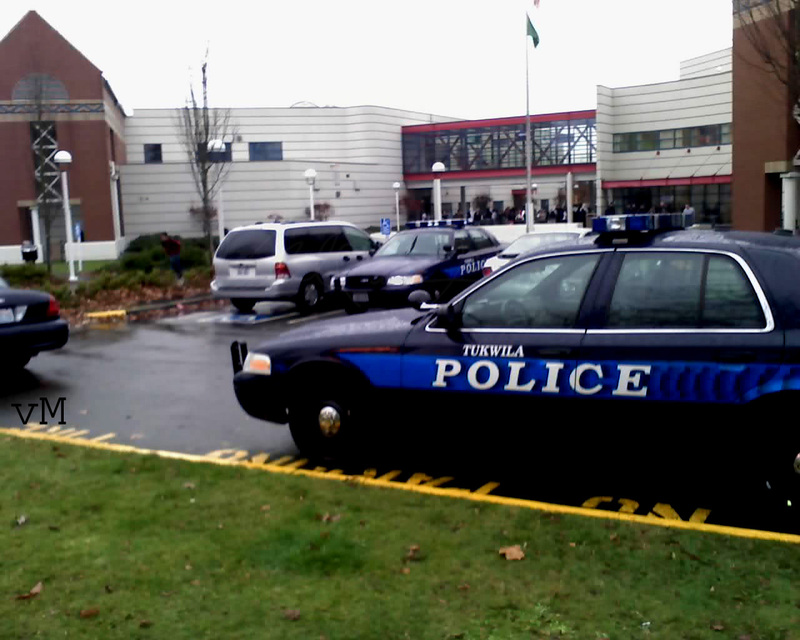 TUKWILA, Wash. -- The Tukwila School Board said they are investigating six teachers who walked out of the classroom about two weeks ago, reported KIRO 7 Eyewitness News. The teachers and dozens of students left Tukwila’s Foster High School to attend a protest against the Iraq war. Protesters flooded a school board meeting Tuesday night to support a teacher who was placed on administrative leave because of his actions. Many students spoke to the school board, pointing to a diverse, well-organized protest. Only one man spoke in favor of the teacher being placed on administrative leave. “We have rules and regulations we have to follow. If you’re a teacher, you’re here to teach. He should be fired,” the man said. School administrators said that rules must be followed and they have to investigate because the teachers left during school hours. “I am not in a position to say if what they did is correct or not, but I will have to take action appropriately if we do find there were inappropriate things that happened which were in violation of their contract,” said school board president Mary Fertakis. The district’s two attorneys are leading the investigation. There is no word on how long it will take or if students will face disciplinary action. The U.S. governnent is sworn to uphold the U.S. constitution and the anti-fascist covenants from the second world war against the axis powers. These covenants are very clear that the liberation side seeks to end aggressive war as any nations foreign policy, and put in its place negotiation and collective agree as the new way forward. The treaties are the United Nations CHarter, the Nuremburg Trials, the Geneva Conventions of war , the international Criminal Court. Three obvious war crimes being committed by the U.S. Immpeialist led co-allition are, 1) targeting and killing civilians, 2) torturing and killing prisoners of war, such as Abu-Graib, Guantanamo Bay, and hundreds of illegal imperial detention centers run by the C.I.A. in Iraq, Afghanistan, and thoughout the middle east and beyond, with flights to extraordinary rendition to torture, 3) collective punishment, such as Shock and Awe, the bombing of villages, towns and cities throughout the middle east Holylnad to rubble because the peoples who abide there have legitimately, according to the Geneva Conventions of war, taken up the right of armed struggle against the illegal foreign invasion and occupation of their countries. The Geneva Conventions say further that there must not be a regime change in those countries and that the occupation forces cannot treat the peoples there in a mean or degading way, and are responsibe for their well-being while the occupation is in control to the occupied country. The Nuremburg Trials, chaired by U.S. judge Jackson condemns aggressive war as the supreme criime on the planet earth as it actuates all other cimes high or low, big or small in a worst cast reaction globally. The planning and doing of aggressive war itself is the supreme war crime, and it is so whether Germany does it or the U.S.A. says judge Jackson. That makes the invasions and occupations of middle east countries by the U.S.A. a war crime which breaks the high crimes and misdemeanors clause of the U.S. constitution, and the international laws that are the anti-fascist covenants, signed on to by the U.S. government and the majority of governemtns in the world, including Canada, and Britain. The United Nations Charter, the raison d' etre of the United Nations also says that it is set up to ensure that democracy as collective agree and negotiation takes place as a new way forward for the peoples of the world to settle relations between nations, and that further it intends thereby to make the terrible horrors of modern warfare only a long distant memory for comming future generations. This covenant the U.S. Imperialists have also violated by their discredited policy of implementing the former axis powers core militarism, such as I) Might makes right, 2) Unilateralism, 3) Pre-emptive strikes, all of which the UN Charter was brought into being by the worlds' anti-fascist fighters to end, and set instead the goal of the UN and all countries to liberate themselves by abolishing aggressive war itself, and its machinery and manufactury, in each country. The security council is controlled by the Minority Imperialist powers with a veto and huge reserves of money. It uses those to levers to end the democracy of the majority of commonwealth nations globally, in general assembly and thereby taking away the original purposes of the United Nations itself, and turning it into a war making tool instead of a peaceful making tool to abolish war by Charter reason of being. This same process of subversion was done to the League of Nations , and was commented on by Albert Einstein during the twenties of the last century, when he remarked that the league had become a war making tool for the imperialist war making powers, and so now both organizations have been subverted to the agendas of Imperialist empire builders out of the majority peacemaking peoples hands, by executive power vetoing the democratic majority. The International criminal court and the world court of the hague has found the U.S. Invasions of the middle east as criminal acts as measured by the anti-fascist covenants, and GW Bush has said that international law will never find any U.S. soldier guilty while he is president. That is only the exta territorial laws of empire building and that is why he is appointing the judicary to uphold , might makes right, and giving the green light to them to allow the breaking of the anti-fascist covenants to which he is sworn to uphold. These students and teachers that walk out in protest of the criminal unjust , illegal wars that Bush and his lying buddies have put in place, are the true heroes of the peoples of the world and the United States , they are the living, breathing true practicioners of the liberation side, and are no way criminals to be fined, disciplined, dismissed or explelled. We need to show maximum solidarity with them and their just cause to end the aggressive war and bring the troops home now, and begin to impeach Bushco for their high crimes. End pollution wars, not endless wars for more polluiton. Re-tool to wind, tidal, and solar power. On November 16th, more than 125 students from Foster High School in Tukwila, WA answered a nation-wide call for a student walk out protesting the war and military recruiters in schools. (See student-made video below) In response, the Tukwila School District threatened students with suspension, but their main target was teachers. Disciplinary investigations threaten the firing of SIX teachers and administration placed one of the six, Brett Rogers, on administrative leave. We put out a call for support for the Tukwila Six and students. Hundreds of emails and phone calls of solidarity have had a MAJOR IMPACT on the Tukwila School Board. Media coverage has brought a spotlight to Principal Ilgenfritz’s REPRESSIVE instincts to the DEMOCRATIC EXPRESSION of students and against ACADEMIC FREEDOM of teachers. "Principle Ilgenfritz calls cops on peace activist students"
The phone calls and emails must continue- this is not over. These teachers' livelihoods are still at stake and the students' rights are clearly under attack. 2. Drop all disciplinary investigations against teachers NOW! 3. KEEP ALL THE TEACHERS THE REST OF THIS YEAR AND NEXT YEAR! 4. When politicians lie to us and continue their oil-driven war against the people's will, student walkouts and other forms of civil disobedience are justified and necessary. SUPPORT THE STUDENTS' INITIATE. No discipline for any students who walked out and took a stand against this war! 5. End attacks on Foster Student Rights to Free Speech and Assembly. tukwila.teachers.solidarity@hotmail.com so we can count how many protest emails have been sent in. On Friday, November 16th, more than a 1,000 students in Washington State participated in a nation-wide student walkout to protest the war and military recruiters in schools. This included around 125+ students at Foster High School , just south of Seattle . Foster is part of the Tukwila School District , of which 71% of the student body is low-income and eligible for the free and reduced-cost school meals. Since the beginning of the Iraq War, the U.S. military has been assigning ever greater numbers of recruiters to lure young people into signing up for this bloody, costly and illegal quagmire in Iraq, especially in marginalized schools like Foster High School. · With a “No Child Left Behind” Act of 2001 provision forcing principals to give up the private contact information of young people to military recruiters, students and teachers have the natural right to protest. · With a bloody and illegal war, where the soldiers that are killed and maimed are disproportionately minorities and victims of the “poverty draft,” students and teachers of Tukwila have the natural right to protest. · With more than $500 billion dollars and the lives of more than a million Iraqis having been utterly wasted on a failed war, with schools in marginalized areas falling apart, we should all be protesting with the slogan: “Money for Schools—Not For War!" · With 75% of the American people polling against the war according to the latest Washington Post poll, and a Democratic Congress still making excuses for why it can’t cut off funding to bring the troops home, we must support the young people who speak out against their future being bombed away. (Please leave a brief message and we will respond as soon as we are able). Foster is part of the Tukwila School District, of which 71% of the student body is low-income and eligible for the free and reduced-cost school meals. Since the beginning of the Iraq War, the U.S. military has been assigning ever greater numbers of recruiters to lure young people into signing up for this bloody, costly and illegal quagmire in Iraq, especially in marginalized schools like Foster High School. In the next couple days, we will summon you to a meeting because we are “investigating reports of possible misconduct relating to you in connection with the student walk-out.” There could be disciplinary consequences pending completion of this investigation. You are not to discuss “this matter with any District students or staff,” or else you could be terminated. You have the right to have a union representative present with you during the investigative interview in case you feel your rights might be violated. The administration is clearly trying to isolate the teachers and students from one another to try to divide them and weaken them. They are trying to use the tactic of divide and rule. They are also blatantly violating the teachers’ right to free speech. The teachers have been careful to abide by the Interim Superintendent’s directive not to talk with any District students or staff about these matters. But nothing in the Superintendent’s letter said teachers could not talk with their union representatives or community supporters. In fact, the letter explicitly says they could talk with the union. Some teachers who received letters were simply on their lesson planning hour and therefore were not scheduled to teach class when the student walkout happened. These teachers went outside just to see what was going on when the students walked out, but they did not walk out or promote the walkout. So the school has no evidence against some teachers who received the threatening letters. It appears the administration is targeting these teachers in a political with-hunt because they have spoken their minds in the past over other issues. For example, two of these teachers were banned in the past from sending out school-wide emails because they spoke their minds in school-wide emails that the administrators did not like. The husband of one of the teachers who received the threatening letters is an Iraq veteran. He went to Foster High School on November 16th and spoke to the students from first-hand experience about the truth of the Iraq War that the government and corporate media are actively hiding from the American people, and he walked out with the students. The school administration is disciplining a teacher whose husband is a veteran whose life was put at serious risk in Iraq and who has now turned against the war. This is very disrespectful to the veteran, his family, and the working-class students who are being forced to shoulder the burdens of this war. The school administrators are more concerned with trying to having power over teachers and students than letting the communities who have been hit the hardest by the war speak out against the war and the predatory military recruiters in their schools. This—after the American people voted the Democrats into Congress to end the war, but the Democrats are still making excuses about why they cannot cut off funds for the war and direct those funds toward education and other desperately needed social services. 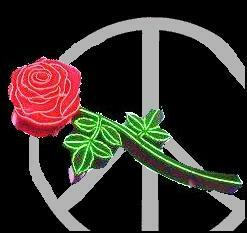 When the leaders of our country will not end this unjust war, then it becomes up to ordinary workers, parents, students, and soldiers to end the war. The attendance secretary at the school also refused to excuse the absences of students who had permission slips signed by their parents to miss school, which is a flagrant violation of parent and student rights. Yet when the students participate in an act of peaceful civil disobedience in the best traditions of Martin Luther King and the Civil Rights Movement who challenged unjust segregation laws, now the Superintendent is hypocritically trying to discourage students from being “self-governing citizens” and standing up for what is right. We need to match the determination of these courageous teachers, students and the Iraq veteran with all the support we can! Please take a few minutes now to call and email the Principal and Superintendent at the numbers and emails at the top of this email! Please forward this email widely to supportive organizations and individuals who might be able to help! march and rally on November 16th were student-generated and entirely peaceful. teachers of Tukwila have the natural right to protest. falling apart, we should all be protesting with the slogan: “Money for Schools—Not For War!" “self-governing citizens” and standing up for what is right? 1. Reinstate the teacher Brett Rogers who has been put on administrative leave! 2. Drop the disciplinary hearings against all six teachers who face investigations! 3. Take no disciplinary action against students who participated in the walkout! need for disciplinary action against these students or teachers. Foster students rallied at the school flagpole, marched down to the I-5 overpass, and then marched to the Tukwila City Hall. The march and rally were student generated and entirely peaceful.